Once that's done, I'll be in touch with our host to request an upgrade per Google's latest security updates (whereby, if you're using Chrome - and probably other browsers eventually - you'll no longer be able to view sites that don't begin with https://). That shouldn't involve any downtime or affect anyone in any way but it's worth mentioning just in case. Obviously, moving the wiki will mean that old links won't work. Unfortunately, EF is so big that it's impossible to go through and update them all, so I'll just be altering main navigational links instead. 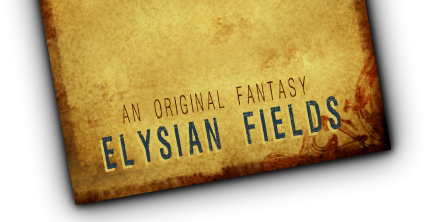 You should be able to find all previous wiki content at elysiawiki instead of the old efwiki. I'll post again to let you know once the wiki has been successfully moved and the security upgrades completed. But worry not! I've decided that, since we won't be updating the wiki anymore anyway that we don't need an interactive copy. So, what I'm going to do instead is compile the pages into a PDF version of the lorebook (or maybe several) kind of like the DnD pamphlets you can buy/download if you go looking. This might take me a while (I also have to find a way to store and organise the lore for my novels since the same issue we're having with EF's wiki is borking my personal wiki as well) but I want to assure you that the information you've all worked so hard on over the years will be made available in a manner that will continue to be easily accessible for years to come (fingers crossed they never get rid of PDFs).